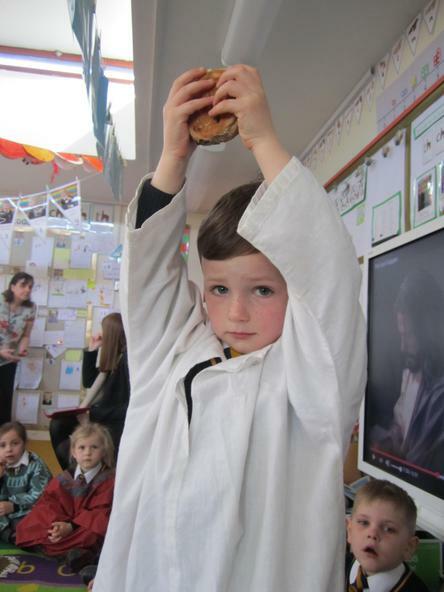 We have been celebrating Holy Week. 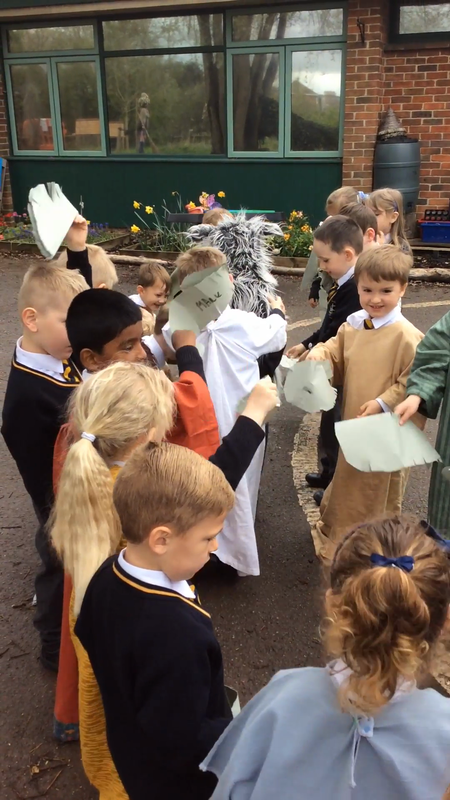 Each day we went to the hall to share in the school liturgy prepared by each of the KS2 classes, and would come back for our own class liturgy and would act out what we had heard. All the children eagerly took part and it has helped the children to understand the sequence of events throughout the week. The children cut out their own palms and waved them. 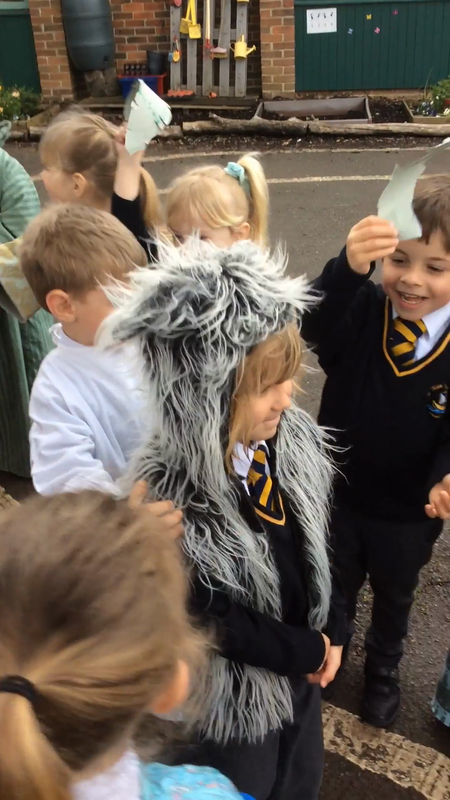 We learnt a new word "Hosanna" to show our joy and praise that the people would have felt when they welcomed Jesus into Jerusalem. Some of the children lay their palms on the floor for Jesus and the donkey to walk over, just like we read about in the Bible. What would they say if they were there? 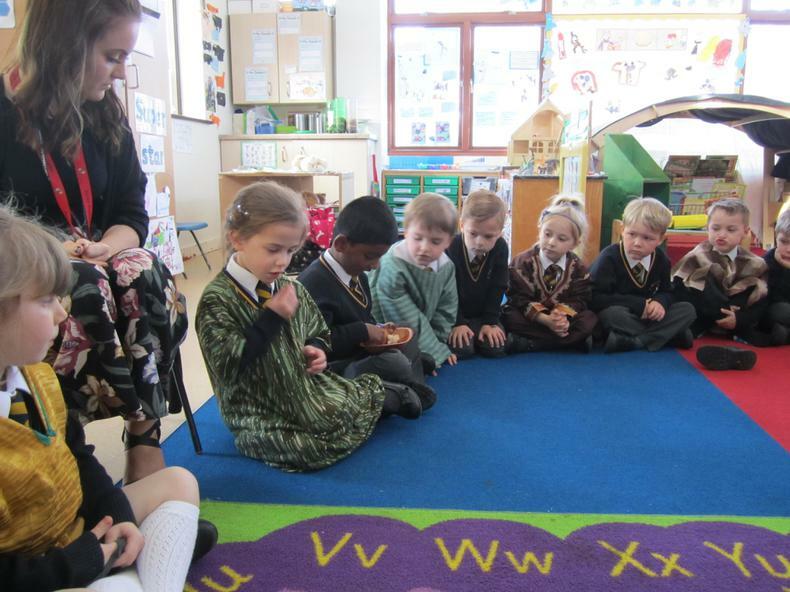 The children were very quiet as we acted out the Last Supper. They thought about what it meant as Jesus ashed Peter's feet, and broke the bread and shared the wine with his disciples. Once again the children thought about how Jesus must have felt. What did they think about that terrible night? 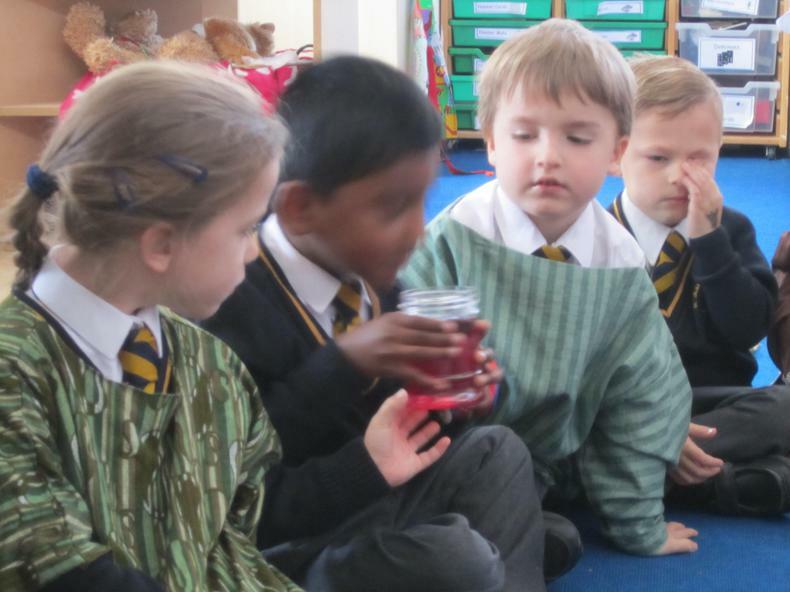 All of the children listened again to the story of Good Friday. 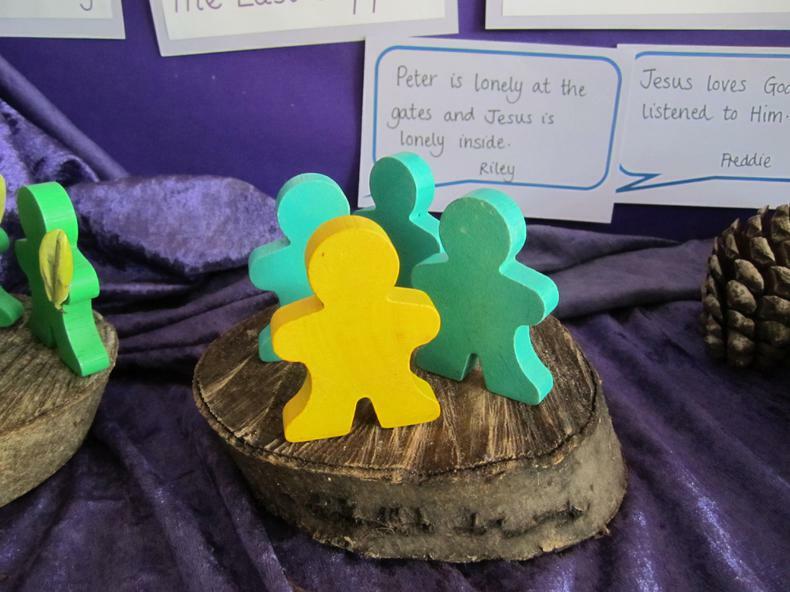 We looked at the small Easter gardens they had all made at our Easter workshop - and the children could finally see where they fitted into the story. It was the last of term so we all shared hot cross buns outside, and remembered why we have them on Good Friday.